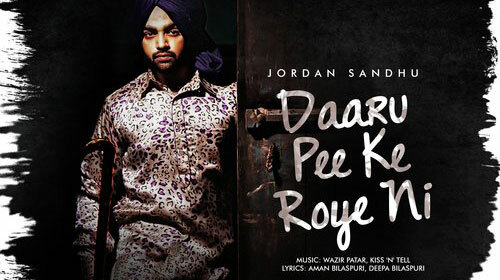 Daaru Pee Ke Roye Ni Lyrics by Jordan Sandhu is a recently released Punjabi song with lyrics given by Aman Bilaspuri & Deepa Bilaspuri. Its music is composed by Wazir Patar and Kiss N Tell. If you find any mistake in lyrics of Daaru Pee Ke Roye Ni song please let us know in comments.